In this pilot issue of RIKVINConnect, we say thank you to our valued clients. It covers an insight to the many government schemes that provide assistance to Singapore companies. Also included is our periodic update on regulatory compliance and spotlights our recently launched Rikvin Learning Center. And finally, as part of a monthly feature, we introduce our clients. 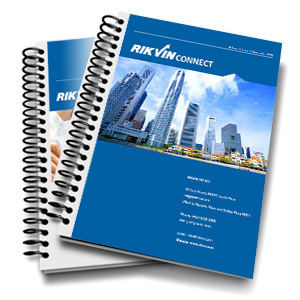 Download RIKVINConnect’s November 2012 Issue.